So, we have officially reached the mid point of the Autumn term, and those of you on taught programmes will, I am sure, be looking forward to reading week next week. It’s always a very welcome chance, after five weeks of classes, to catch up with reading, research, writing, and to take stock before embarking on the second part of the term. 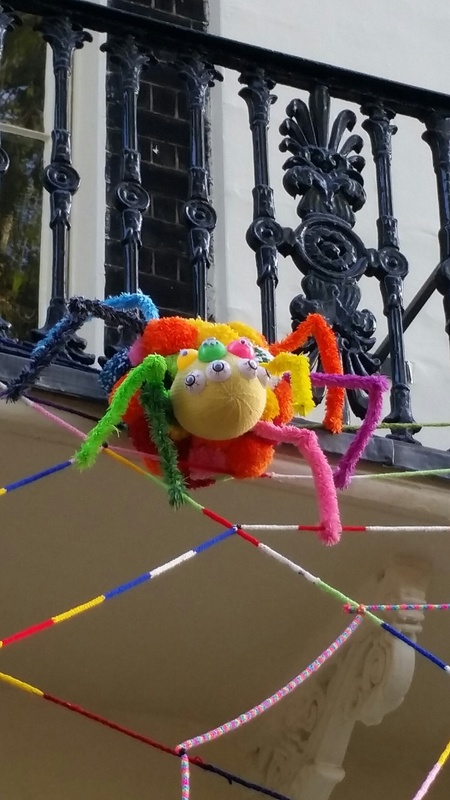 You’ll also not have been able to forget that it’s Halloween this weekend, thanks to the wonderful woolly installation currently featured on the front of the School of Arts! This is the expert handiwork of Claire Adams and Catherine Catrix, two of our Assistant School Managers, and I hope you’ve had a chance to admire it on your way in and out of the building. Students who’ve been with us for a year or more will have already been able to enjoy previous knitted displays in honour of Easter and Christmas, and some of us have prized souvenirs at home (an Easter chick in my case!). Also up and coming is our Graduation ceremony, which takes place next Wednesday, on 4th November. Those who have successfully made their way through the three years of the full-time undergraduate programme, or the four years of the part-time course, will be able proudly to claim their BAs. We look forward to seeing our new graduates donning their gowns and, I sincerely hope, indulging in the requisite throwing of the hats in the air. 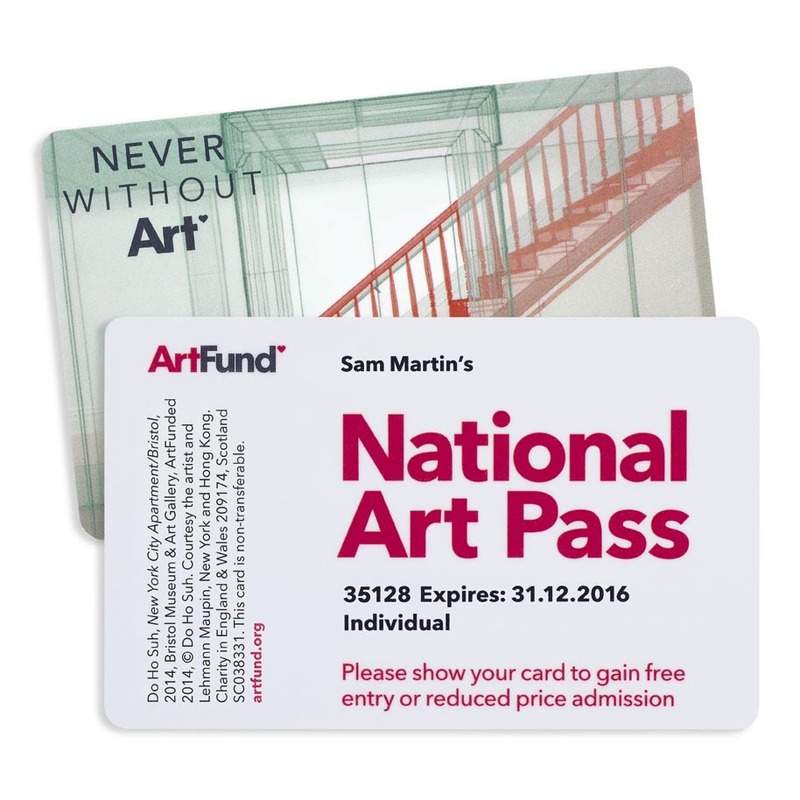 One very last reminder about those National Art Passes…. The Art Fund has extended the deadline a little, until Monday 2nd November, so, if you haven’t already got round to signing up, there are a few days left to claim your free pass, and to start enjoying free admission to museums and galleries, and discounts on entry to exhibitions. I’m pleased to be handing over much of this week’s blog posting to my colleague, Dr. Leslie Topp, who researches and teaches the History of Architecture. In between running courses such as her current level 6 option module on ‘Spaces in Modernity’, co-organising the Architecture, Space and Society Research Centre, and much else besides, Leslie tweets, so do follow her @LeslieTopp. We’re not doing badly for tweeters in the department these days! Other colleagues who are currently beating me in their deftness with social media are Dr. Fiona Candlin, Senior Lecturer in Museum Studies, who tweets about her fascinating research into micromuseums @FionaCandlin, and Dr. Clare Vernon, who has just joined us from the Warburg Institute as Lecturer in Medieval Art @drclarevernon. Do also follow the department itself on twitter, @BirkbeckHoA, maintained by the leader of our History of Art admin team, Clare Thomas. 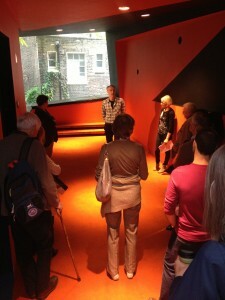 ‘On the weekend of 19-20 September, we opened the doors of the School of Arts building in Gordon Square to the general public, as part of Open House London. Open City, a charity promoting free public access to London’s rich architecture, historic and contemporary, has been organising Open House weekends every September since 1992. Convinced that there’d be demand to see our fascinating building, we participated for the first time in 2013, and received over 200 visitors. This year, the numbers exceeded our wildest expectations, and our brilliant student volunteers guided over 500 visitors through the building. BA History of Art student Eva Hoog provided friendly and super-efficient oversight, and twelve volunteers from the BA, MA and PhD programmes in the department led and assisted on tours, answered questions, and took care of bookings on the front desk. A training session a few days before, and a fact sheet covered the early nineteenth-century history of the terrace in the context of the planning of Bloomsbury; the early twentieth-century history of the building as the home of Virginia Woolf and Vanessa Bell and as a gathering place for the Bloomsbury Group; and the early twenty-first-century transformation of the back of the building into the RIBA award-winning cinema and surrounding spaces by Surface Architects. We were very lucky to have one of the architects of the cinema spaces, Andy MacFee, at the training session, to give a mesmerising and very useful account of the origins of his ideas for the space and his working method. On the weekend itself, visitors, who had come to see the building because of their interest in one of these aspects, were stunned by the fact that all three layers of history were present in such a relatively small space. 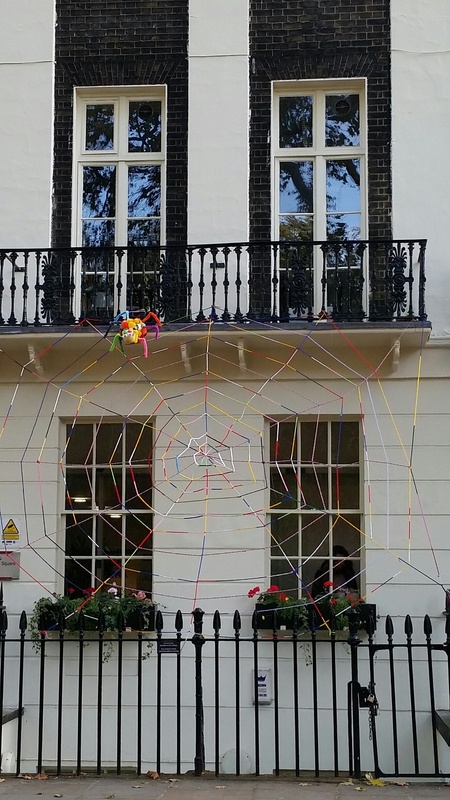 Additional tours of ‘The Wider Gordon Square’, offered by Birkbeck PhD graduate Victoria McNeile and her colleague architectural historian Christopher Woodward, added yet another dimension to this rich mix. 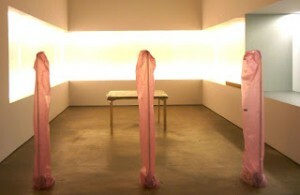 The students involved have been in touch with their impressions of the experience. They loved learning more about the building they’d been studying in, and had not realised what a fascinating and multi-layered place it was. They also loved the experience of speaking to a group – despite some inevitable nerves in the lead-up, it was fun and very satisfying. Two weeks of term under our belts, and a sense that everyone’s starting to settle in to the new academic year… I do hope that you’ve been taking up the brilliant offer I advertised in my last blog, of free national art passes for all History of Art students at Birkbeck! This is open to every student in the department, whether on the Certificate, Graduate Certificate or MPhil/PhD programmes, or on any of our BAs or MAs. If you haven’t as yet, then please do follow the link to sign up before the deadline of 23rd October. The discounts which you’ll be able to get on exhibition tickets, together with the free entry to over 200 charging museums and galleries, really are too good to miss! Also, don’t forget about the perk which Professor Lynn Nead so kindly arranged for Birkbeck students keen to see her exhibition on The Fallen Woman at the Foundling Museum. Half-price entry to the show, and a 30% discount in the café! 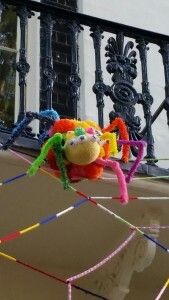 It may still be early in the Autumn term, but there’s already lots going on. Two events are coming up later this month, which will be of interest to many of you…. – my colleagues in what we always refer to as ‘the early period’ run the Murray seminar on Medieval and Renaissance Art. This seminar series is one of a number of activities supported by an important Bequest, established in memory of Professor Peter Murray. The first speaker in the series this term is, I’m delighted to say, Dr. Robert Maniura – so, if you missed hearing him give the opening paper at his conference on ‘Frontiers of Fifteenth-Century Art’, do take this opportunity to hear him speak about his research. 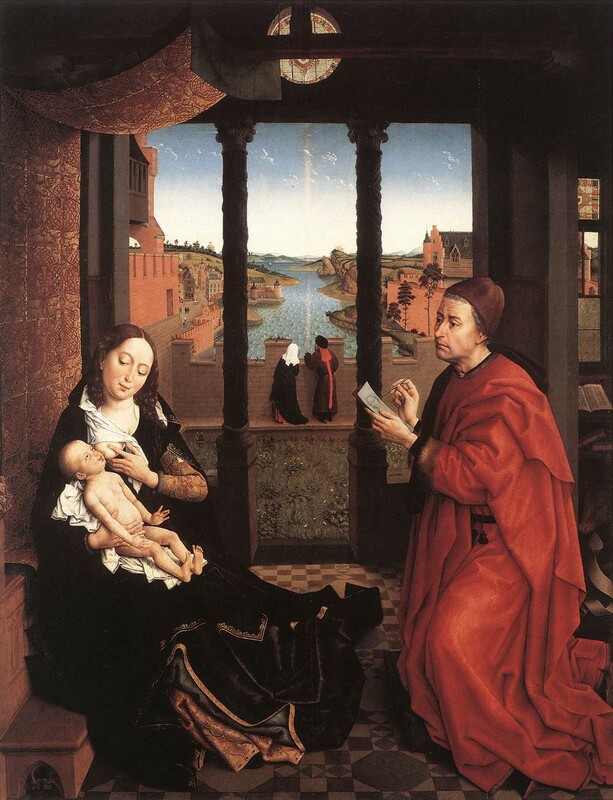 Robert will be considering Rogier van der Weyden’s famous image of St Luke drawing the Virgin Mary in his paper, entitled ‘Rogier van der Weyden, Portraiture and Flesh’, in room 112 in Gordon Square, at 5pm on Thursday 22nd October. Interpretations of this picture often concentrate on its significance for painters, but tend to overlook the familiarity which artists’ clients may have had with the artistic practices shown. Robert’s paper will explore the implications of this for our understanding of the portraiture of the period. – other colleagues, from the department and across the College, who specialise in the field of architecture, co-organise the Architecture, Space and Society Research Centre. They have organised a one-day colloquium on the topic of ‘Architecture in Time: The Temporal Conditions of Design’ (Friday 23rd October 2015, 10am-5pm). Do follow this link to find out more about and register for the day, which will bring time to the fore as a creative force in design. The full price is £35, but all students are offered a special rate of £15. I shall end this blog by posting a piece which has kindly been written by Gary Haines, one of our many dynamic PhD students, who works with Dr. Suzannah Biernoff on representations of the blinded British soldier of the First World War. This is an account of the work which the History of Art department has been doing with Crisis, led by Gary and Dr. Leslie Topp. ‘Recently I found myself talking to a group of strangers about ‘What is Art?’. This discussion went on for two hours. This was not a side effect of studying History of Art at PhD level, but part of a series of workshops I am lucky enough to be involved with, working in tandem with Crisis, the charity for single homeless people. The aim of these workshops is to encourage others to go to university by taking the university to them. Back in July 2013, Birkbeck’s Department of History of Art and the widening access team ran an ‘Art Cafe’ at the Crisis Skylight centre for four days. This was followed by a series of information sessions on taking the first steps into university study in the History of Art. Four Crisis members enrolled in the Certificate in History of Art in September 2013 and January 2014, due to these sessions. In December 2013, Dr. Leslie Topp encouraged me to become involved and, the following May, we launched ‘Final Fridays at Crisis’. This course was run on the last Friday of the month at the Crisis Skylight centre in Commercial Street, throughout May to August. The idea of the course was to bring university style lectures/seminars directly to Crisis members, hopefully breaking down a few barriers along the way. ‘Final Fridays at Crisis’ introduced Crisis members to subjects such as Outsider Art, Architectural History, Art and the Market and the History of the East End. It also discussed study skills, how to deal with university admin, funding and how to take that daunting first step into further education. The classes were well attended, lots of questions were asked and many members went away saying they wanted to come back again. 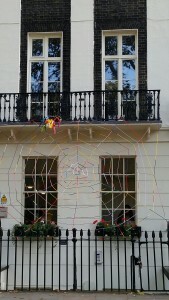 I also found out recently that one of the members who attended is off to study textile design at university this year. Some months ago, I was once again approached to undertake some workshops for Crisis members. This time, it was for their ‘Art in Crisis’ festival, which showcases the artistic talents of their members. Then, last month, I co-ordinated a series of workshops and lectures for Crisis members, under the heading ‘Birkbeck at Crisis’. I spoke on a number of subjects, including ‘What is Art’ and ‘An intro to Abstract Art’. A discussion on working in or studying art was also arranged, and Katie Brookes, Vikki Jessop and Yvonne Ng all gave great talks. These courses were received well by the members and I hope to return to Crisis again to follow them up. I feel that it is vitally important that we remember that it is possible to learn outside the lecture room, and how daunting the thought of going to university can be for some people. I am passionate about university as a route of progression as I took this step after nearly ten years out of work. If the fates had rolled the dice a different way I could easily have been a member of Crisis. The Crisis members come from a wide variety of backgrounds, some with little education, others with a lot. There is no such thing as a ‘homeless person’. The idea of these workshops was to remind us of that, as well as to remind them. Some of the most challenging academic discussions I have had have taken place in these workshops, with these men and women. Free Art Passes for all History of Art students at Birkbeck! So, we’ve reached the end of the first week of the academic year, and all the inductions have been held! The final group of students to be welcomed to the department for the first time were those embarking on the BA in History of Art and the BA in History of Art with Curating, who we met on Wednesday evening for introductory talks, chats in personal tutor groups, and, of course, a few glasses of wine and some nibbles. It’s been good to meet all our new students over the last couple of weeks, and to put faces to names we’re familiar with from application forms and email correspondence. I hope you all enjoy your first classes on your courses – or, for our new MPhil/PhD students, your initial meetings with your supervisors and fellow students as you embark on your programmes of research. Most of our continuing students on taught programmes will already have had at least one class this week, and will be finding out more about the module(s) they are studying this year. I met those BA and Graduate Certificate students taking my level 6 option course, ‘Portraiture in England in the Long Eighteenth Century’ for the first time yesterday evening. I always particularly enjoy those first sessions, where you get to meet the group you’ll be working with, and to think about the visual material and themes you’ll be covering across the course. I am very pleased to announce a great opportunity for all History of Art students in the department in this blog posting! 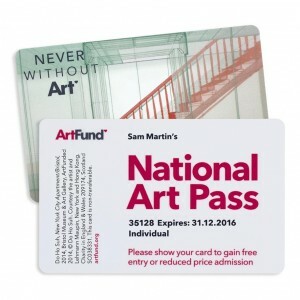 Those of you who were here this time last year will remember that we were contacted by the Art Fund, with a generous offer of free student national art passes. I am delighted to be able to say that they emailed me earlier this week, to let me know that they are making the offer again! This is open to ALL students in the History of Art department, whether studying for a Certificate, BA, Graduate Certificate, MA or MPhil/PhD. All you need to do is to follow this link and sign up BEFORE 23 OCTOBER. Your free card will be sent directly to you. Many of you will already know about the Art Fund and will have enjoyed the benefits of one of their passes – but, for those who haven’t, your pass will get you 50% off many major exhibitions, as well as free entry to 230 charging museums and galleries across the UK for the next 12 months. You’ll also receive exclusive shop, cafe and catalogue offers, and regular e-newsletters. If you download the Art Fund’s free Art Guide app, it will help you to locate and to create a wish list of your favourite exhibitions and venues. Do please follow the link and sign up as soon as you can! It’s a great offer – and also important that we have a good take up, to show our appreciation. – Dr. Kasia Murawska-Muthesius, one of our Associate Lecturers who teaches on a range of programmes in the department, told me a few days ago about the publication of a new book she has just co-edited, with Piotr Piotrowski. It’s called From Museum Critique to the Critical Museum, published by Ashgate, and it brings together the work of museum professionals and academics to examine the theoretical concept of the critical museum, using case studies of engaged art institutions from different parts of the world. Sadly, Piotr, Kasia’s co-editor and a leading Polish art historian, died in May this year, and the launch of the book at POLIN Museum of the History of Polish Jews in Warsaw, on 9th September, was devoted to his memory. – Kasia’s new book reaches beyond the usual focus on western Europe, America, and ‘the World’, to include voices from, as well as about, eastern European institutions, which have rarely been discussed in museum studies books so far. This gives me a pleasingly effective segue to news of a recent major international conference, organised here at Birkbeck, by Dr. Robert Maniura! Many of you will know Robert, an expert on the art of the late Middle Ages and Renaissance, and my predecessor as Head of Department. Robert is in the second year of research leave, working on a major project on the art of this period, part of which has been funded by a British Academy Fellowship. Do have a look at his blogsite to find out more. The conference was called ‘Frontiers of Fifteenth-Century Art’, and it sought to widen our focus beyond the seminal and much discussed art of Italy and the Netherlands from this period, and to draw attention to currently neglected areas of central and eastern Europe. I was able to drop in to hear Robert’s opening paper, and was delighted to spot the familiar faces of many Birkbeck students and alumni in the audience.